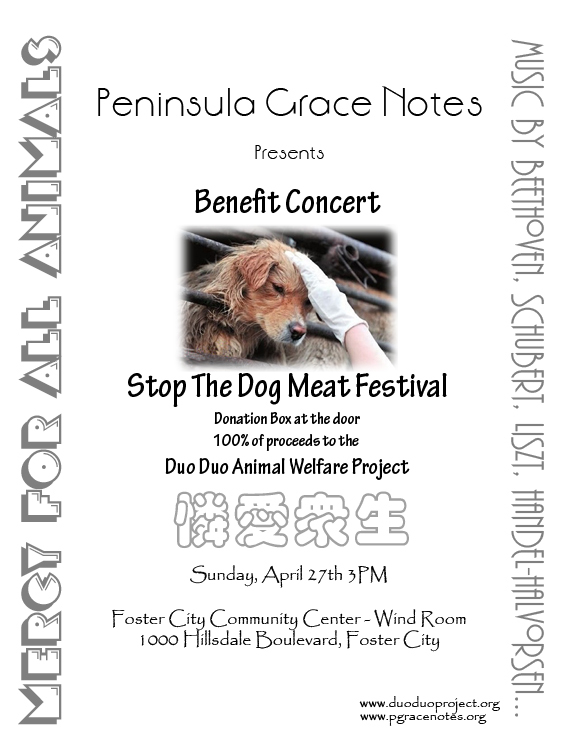 Peninsula Grace Notes (PGN) is a nonprofit organization which hosts a classical music series based in the Peninsula. PGN performances include standard repertoires and woman’s composition, which frequently are performed as Bay Area or West Coast premieres. Each program discusses the life, achievements and works of the featured woman composer. This distinguishes PGN from all other chamber music series. PGN’s performances of woman’s classical works have sparked the interest of music critics. PGN believes that audiences should share in the wealth of woman’s compositions performed by highly regarded artists and ensembles around the world. PGN has presented the legendary Moscow Chamber Orchestra twice in just three years, Slovak Sinfornietta, the State Chamber Orchestra of Kazakhstan, San Francisco Girls Chorus , Double Exposure and the Grammy Award-nominated St. Petersburg String Quartet . PGN has also presented Franz Liszt Chamber Orchestra of Budapest, Scholars of London, Chorovaya Akademia men’s “a capella?choir from Moscow. Peninsula Grace Notes usually provides complimentary or discount tickets for the students, senior citizens and various non-profit organizations in the community. PGN anticipates greater support and recognition in the music world and in the community in the future seasons. Copyright © 2010Penisula Grace Notes. All Rights Reserved.